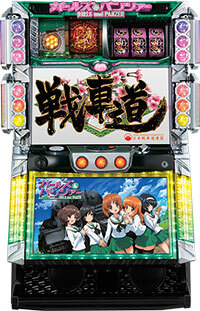 Today, we will be introducing a pachislot machine of “Girls und Panzer”, a animation which aired in Japan in 2012. Even after the airing of anime, it became even more popular by collaborating with medias and a popular game of “World of Tanks”. It also has a movie waiting to be released in November of this year!! To remain the force of original work, this pachislot machine uses two big monitors to show the powerful battle between the tanks!! And not only the tanks, but also the everyday life of main characters of Oarai Girls High School such as Miho Nishizumi have been reproduced faithfully!! 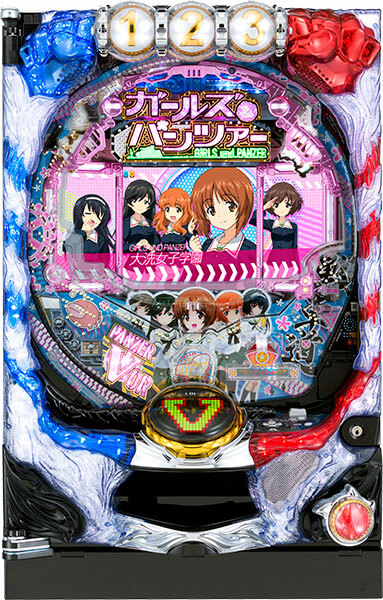 This machine is loaded with renditions such as school route, after school, and an outdoor hot spring, so that player gets to enjoy every piece of “Girls und Panzer”! !